Hello, my Aviator! I am excited to share with you the successful event with Arla® Protein and Xletix. 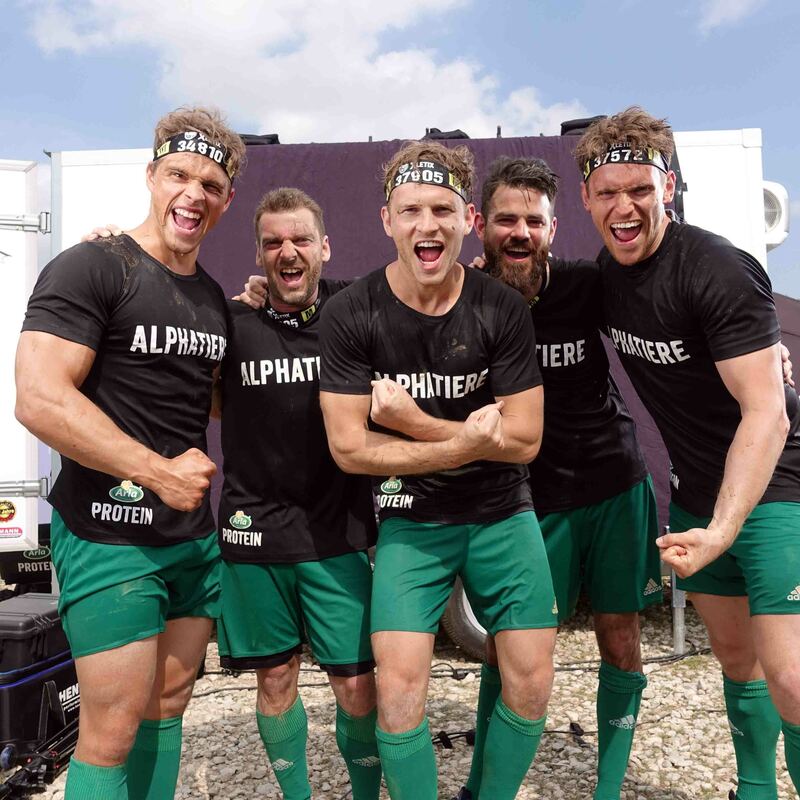 Arla® Protein invited three blogger to participate with four of their fans at the Xletix obstacle run in Munich. All three teams competed against each other. Via my Instagram, Facebook and blog I called to become my member of the crew “Arla® Protein Alpha leaders”. Additionally, my call up was published two times in the magazine Business Punk. 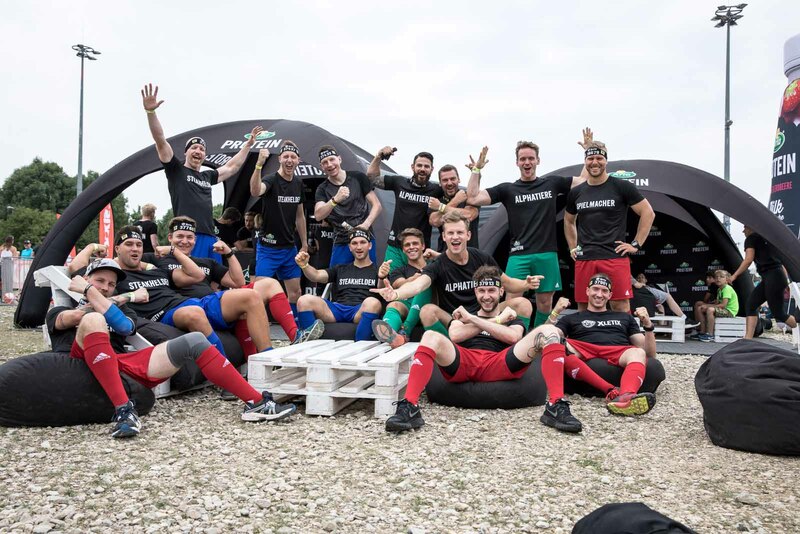 Read until the end of the article to find out which team won and have the chance to win a gift voucher for sports apparel worth 100€. 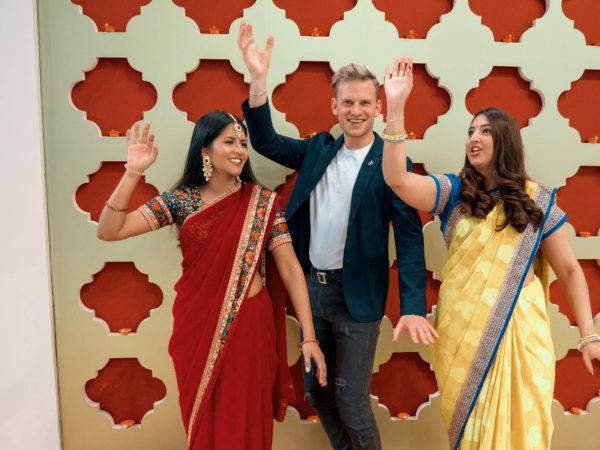 When Arla asked me if I want to participate in this challenge I was full of enthusiasm to get started. As you know I am doing my best to organize events to meet my Aviators. This was a great occasion to meet some of you in person again. 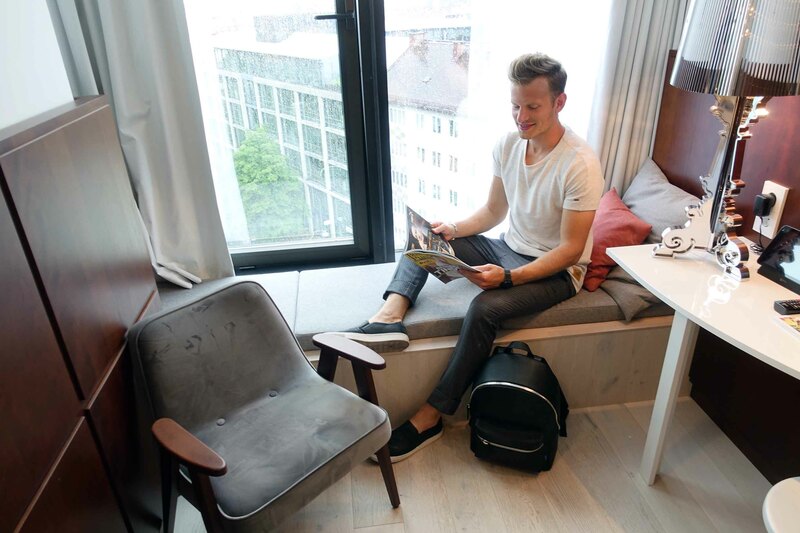 On the day of the event (23rd of June) all team member met up at the design hotel Ruby Lilly in Munich. After the check-in to the stylishly furnished rooms, we gathered in the lobby. While having a drink we got to know each other better. Unfortunately, I had to find out that one “crew member” could not attend the challenge due family reasons. 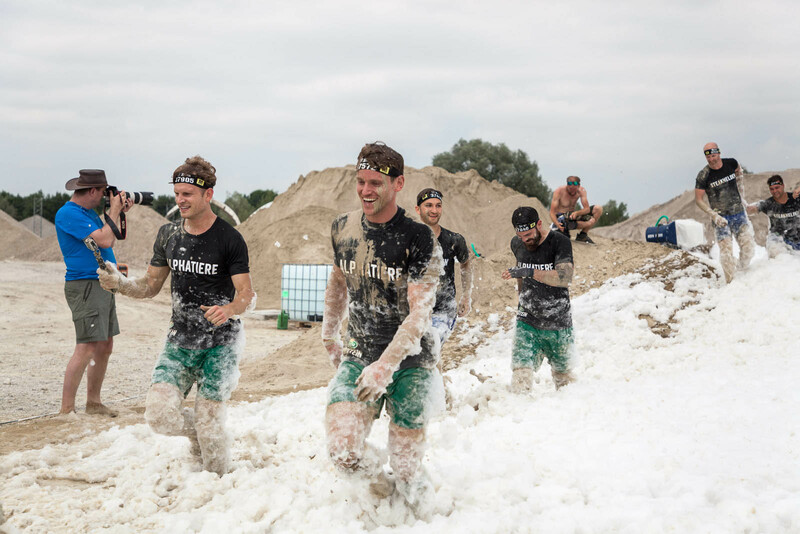 Luckily Fabian, who is a good friend of mine, had time to join the challenge spontaneously. 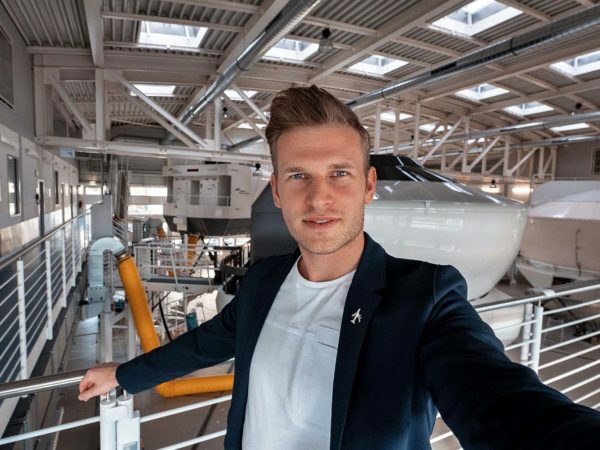 My other team members were Timo, Dominik, and Oliver who joined the lottery to win a boarding ticket into my team and got selected by Arla. The crew did not only humanly harmonize, but we all were physically in a good shape. That is why we were really motivated. We knew that this event was supposed to be a lot of fun, but our will was to win. 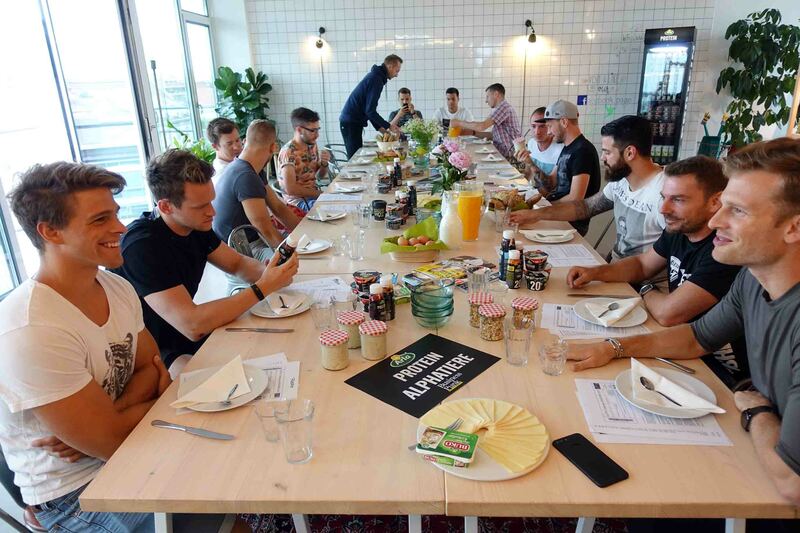 Next morning all teams came together to have a breakfast with Arla® Protein products. We could choose from a great variety of products like shakes and quarks. After we finished the breakfast each team member received his sports outfit and photos of each team were taken. 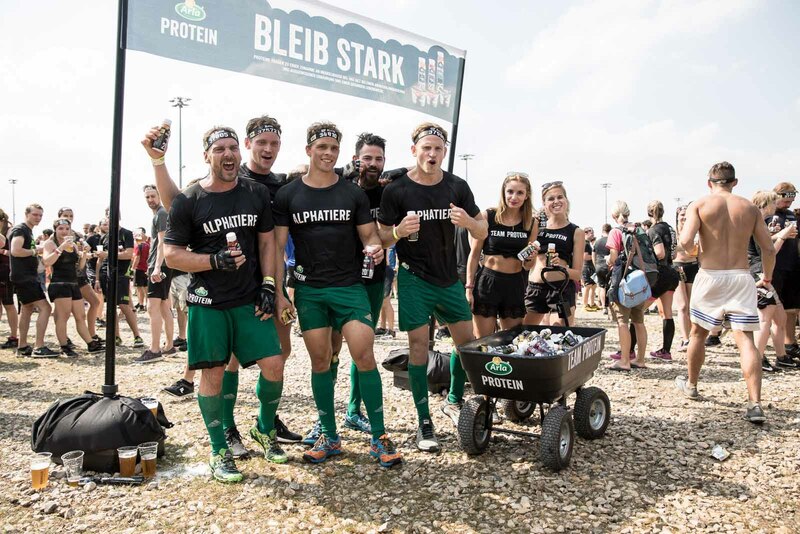 The team leaders of the two other teams were Florian a Fitness- Blogger “Arla® Protein Gamemaker” and Food-Blogger Per “Arla® Protein Steakheros”. Feeling reinvigorated we drove to the venue in Munich, where the run started around 2:30 pm. Before we got started we took some more photos of the teams and we did a warm up for the run. One crew member of mine had his birthday so a huge group of people was singing for him! All three teams before the challenge! Xletix offers you to choose between three degrees of difficulty. We had to master the medium distance “M”. 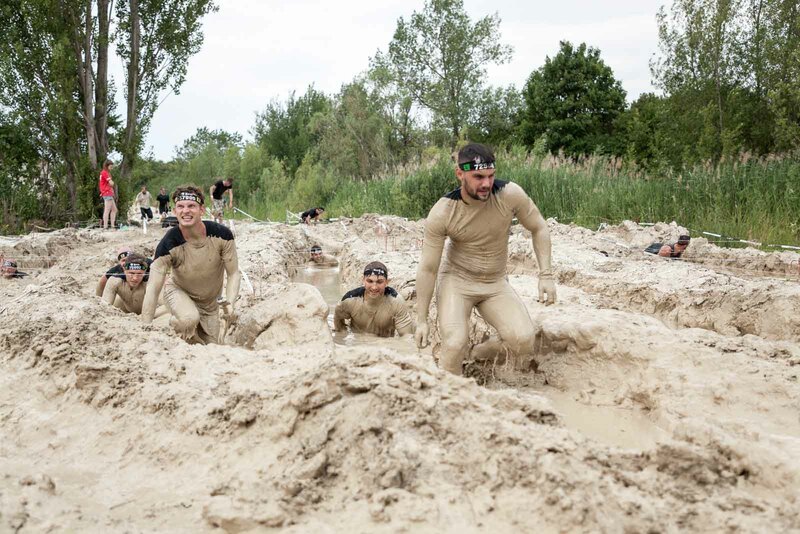 The route was over 14 km long and included about 25 challenging obstacles. It was not allowed to skip obstacles and in case you were not able to overcome it, you had to do 15 burpees as some kind of punishment. One time we used this rule to skip one obstacle because the queue was so long that we would have lost a lot of time. 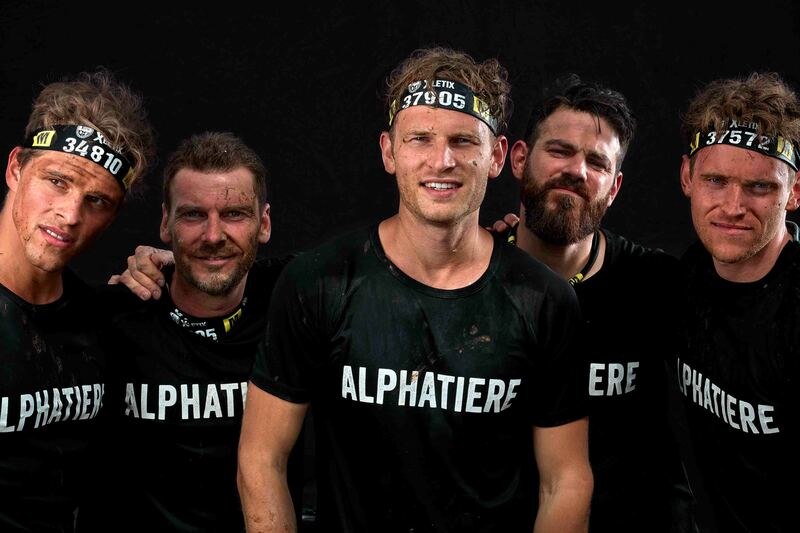 Right at the beginning our motivated crew “Arla® Protein Alpha leaders” managed to be the first one of all three teams and we were able to build a good lead. The obstacles got harder and harder. Most of the time they were only possible to accomplish in a team. We had to crawl underneath barb wire fence through mud, climb over obstacles, dive through ice cold water and swing like Tarzan on a robe. It was still so much fun. 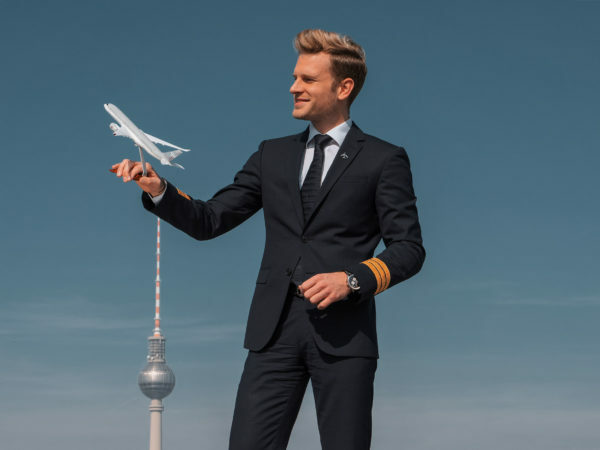 Working in a team is important to guarantee a smooth execution of flight as well. Before the run, we decided that we will stay together the whole time and support each other as much as we can. Naturally, the run was tiring after a while. Two of my crew struggled a little bit so I had to motivate them again. The combination of cardio and strength is not easy to handle that is why two of us started to have cramps. 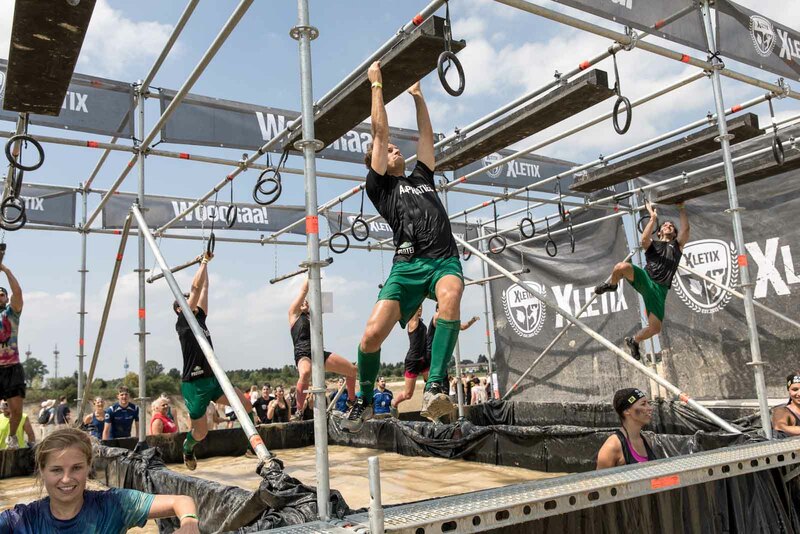 At two obstacle stations, the task was to carry one crew member. So we picked the weakest one so he could relax and tank up some energy. After about 2 hours and 30 minutes, we “landed” in the finish as the first team! The atmosphere was really good and we were all quite happy that we did so well and that we landed safely without any injuries. It was an exciting, exhausting and fun day. Thanks again to my powerful crew members. We all were rewarded with a gift voucher for sports apparel worth 100€. I want to give away this one to you. All you need to do to have the chance to win is: Subscribe to my newsletter and leave me a comment with your favorite type of sport. The winner will be picked out of the subscribers and commentators. Also dann nochmal: Meine Lieblings Sportarten sind Zumba und Schwimmen! Du hast den deutschen Beitrag kommentiert. Leider ist es technisch nicht möglich, die Kommentare zu synchronisieren. I hope Pilates counts as a sport! If not I’d say Tennis. I love doing ‘Power Walking’ as it gives less impact to the joints i think its not considered as a sport (which remind me that its about time i need a pair of new shoes hehe). So, in term of sport my favorite is swimming. I love being in the water, its like you are ‘flying’ in the water while you are swimming and it has a nice calming effect to your body and mind (psst i always imagine myself as a mermaid whenever i’m in the water 😀 ). thanks for your funny comment! I love to swim as well. To play, tennis. To watch, college basketball.